This site updated 05 Sep 2016 19:06. The definitive guide to Pentax hot shoe flashes and compatible 3rd-party options. 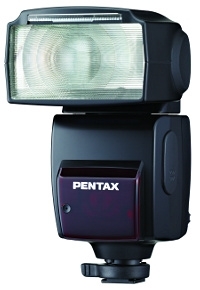 P-TTL is Pentax's preflash-based through-the-lens flash metering system. It's used by all current and recent Pentax digital SLR cameras to automatically obtain correct exposure for both camera-mounted flashes and wireless slave units. If you're interested in buying a Pentax-compatible flash, there are many options to choose from. This site provides a comprehensive look at the different flash models available and explains in detail how they differ from one another. There is a lot of information available here. Use the menu bar above or the side panel to get to specific information quickly, or just start reading right here. Okay, so… it's clear that I don't have time to really work on this anymore, especially with my new job. The information that's here should still be helpful, though, and I'm interested in the site continuing, though — if you are a Pentaxian and interested taking over, please contact me! In the meantime, here's my basic advice…. Just Want Someone to Tell You What To Buy? The Metz mid-line flash (currently, Metz 52 AF-1) is a great choice and generally the best features for the money, but going with the Pentax AF360FGZ II will save you possible compatibility headaches in the future, and since this model adds swivel, there are no real drawbacks except for the price. Either of these flashes will do well for basic on-camera bounce flash, and also be excellent for easy off-camera P-TTL optical wireless. But, in the years since I started making this site, the are a number of new options which I think are better if you are doing any kind of studio/portrait lighting. These are non-TTL manual flashes that let you set power from a transmitter mounted on the camera itself. In a controlled situation, especially with multiple flashes, you want this manual control anyway, and you can get a nice setup with multiple flashes for the price of one of the above units. Check out the Godox V850II and radio trigger , for only about $150 + $40 — not bad at all! (There are several labels for the same thing, including Neewer, Cheetahlight, and Flashpoint.) As a bonus, these come with a lithium rechargeable battery, so there's no extra buying a NiMH set, and you get very fast recharge time, and it's more environmentally friendly. You could also get the Godox TT600, at an incredible $70. I prefer the lithium version, but even with the addition of a set of Eneloop batteries, it's hard to argue with the price. One could get the V850 as main flash and second flashes, and fill in with the cheaper ones for less-frequently used hair light, back lighting, etc. For for the price of one AF360FGZII, you can get quite a few of these more powerful and more featureful flashes. 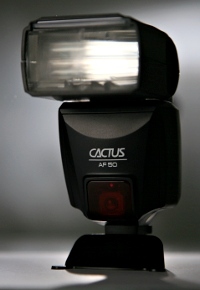 Or, try the Cactus V6 Wireless Flash Trigger. For about $60 each (one for the camera, one for each flash), it will give you control over a wide array of current and older flash models (including mixing brands). AF200FG — a basic model with no advanced features; offers a little over three times the power of the built-in flash on the K10D or K2000/K-m, and about double that on the K20D, K200D, or new K-7. In the US, this flash is bundled in a kit with the K2000. AF360FGZ — a much nicer flash available at a good price. Many advanced features; the most notable lack is a swivel head for bouncing from the ceiling in portrait orientation. AF540FGZ — Pentax's top of the line model. Big and powerful, with the ability to connect an external power source for faster refresh times. Pentax also makes a P-TTL ring flash for close-up work, the AF160FC. This is worth mentioning as part of the Pentax system, but since it's a specialty item it isn't covered on this site. Samsung used to sell the Pentax AF360FGZ and the AF540FGZ as the SEF-36PZF and SEF-54PFZ. They are presumed to be functionally identical to their Pentax twins. Pentax-compatible Samsung flashes were never sold in US stores, and since Samsung has dropped their partnership with Pentax, their newer hotshoe flashes for the NX series of cameras are not compatible with Pentax P-TTL. German flash maker Metz historically used a system of interchangeable modules to provide compatibility with various camera systems, including Pentax's P-TTL. They still make some models that use that system, but they now have dedicated P-TTL flashes as well. 44 AF-1 — in some ways an upgrade from Pentax's AF360FGZ, with about 30% more power, a tilt/swivel head, and some advanced functionality. But, no HSS or rear-curtain sync. And, while the 44 AF-1 can function as an off-camera wireless slave it cannot act as a camera-mounted controller for other slaves. 50 AF-1 — effectively a small upgrade from Pentax's AF360FGZ, with about 60% more power, a tilt/swivel head, and equivalent advanced functionality (plus a few unique features). Like the 44 AF-1, the 50 AF-1 can function as an off-camera wireless slave but it cannot act as a camera-mounted controller for other slaves. This model improves on and replaces the popular 48 AF-1. 52 AF-1 — A new addition to the lineup, featuring a backlit LCD control panel. Unlike the 50 AF-1, this model can act as an on-camera wireless controller. Metz confirms that this model will replace the 50 AF-1, but that change is still working its way into the US distribution channels. 58 AF-2 — another completely-dedicated model, with top-tier power and the longest list of features of any Pentax-compatible flash. This is a minor upgrade from the previous 58 AF-1. These flashes are available in versions specific to many different camera systems — Pentax P-TTL, Nikon CLS, Canon E-TTL, Olympus/Panasonic Micro Four Thirds, and Sony ADI. The physical differences are minor, but the flash units are dedicated, and can't be adapted or updated to work with a different system. Make sure to get the Pentax/P-TTL model. Metz also offers the 24 AF-1 and 36 AF-5 (and previously the 36 AF-4). These flashes are made for Metz by Icorp/Tumax in China, but contain a Metz-developed firmware: Metz says they are "equipped with a special electronic technology which has been developed by Metz in Germany". These flashes basically correspond to the DSL28 Series and DSL88 Series Tumax flashes, respectively. (Currently these models are represented separately throughout this guide, but in a future update I plan to combine them where it makes sense.) Note that the Metz flashes do claim a much faster recycling time, which lends some credence to the idea that the internals are different. The Metz-branded versions of these flashes tend to be more expensive than shell-company brands like Vivitar (which is now just a name, unrelated to the original company). In exchange for that, you get Metz's support channels and whatever advantages their firmware offers; this may not be a bad deal at all. The higher-end flashes, from the 44 AF-1 up, are made by Metz in Germany. In addition to these "system-dedicated" models, there's the 54 MZ-4i. This flash is discontinued but some new stock is still available as of early 2012. This model requires the SCA 3702 adapter module with firmware M2 or later. With that module, the 54 MZ-4i has features roughly equivalent to the 58 AF-1, but slightly less flash power. It also can't do Pentax's P-TTL wireless, but can act as part of Metz's own wireless auto flash system. There is a slightly older version of the 54 MZ-4i without the i — the 54 MZ-4. The differences between the two primarily apply to Nikon and Olympus; for Pentax, they're interchangeable. This guide uses the name 54 MZ-4i simply because it's newer. Additionally, there are two module-based Pentax-compatible models not covered here: the 45 CL-4 and the top-of-the-line 76 MZ-5. These are "hammerhead"-style flashes, designed to mount on a flash bracket and connect via a cable (included with the 76 MZ-5 but not the 45 CL-4) to the shoe-mounted SCA 3702 adapter. 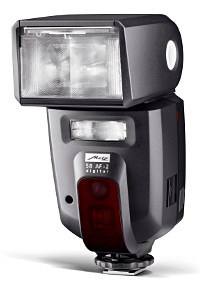 Metz also makes a P-TTL ring flash, the Mecablitz 15 MS-1, which operates as a wireless P-TTL slave (which would allow an on-camera controller to also control additional slaves). The 44 AF-1 and all higher "AF" models feature a USB port for in-the-field firmware upgrades. The lower-end models may need to be sent for factory service for compatibility upgrades to match future Pentax cameras. The 54 MZ-4i is upgradable via factory updates to the SCA module. Metz flashes used to be much more expensive than their Pentax counterparts in the US, but as the prices of Pentax's lineup have risen, that's no longer true. And in Europe, Metz models are often relatively much cheaper. The US distributor for Metz is Manfrotto Distribution (formerly named Bogen Imaging). There are a number of very similar "generic" flashes made in China and sold in the US under a number of different brands, including Sakar, Digital Concepts, Vivitar (all three brands of the same company); also Bell and Howell, Bower, Practika, and Cactus. If you find a flash not listed in this guide, odds are good it's actually one of these. 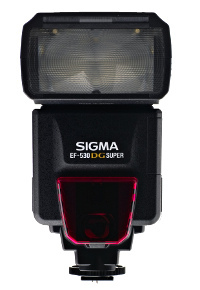 DSL28 Series — a small, entry level flash with a slightly-odd tilting reflector, for bounce but no swivel. DSL283AF, DSL286AF, and DSL288AF are alternative front designs, and it's also available as the Vivitar DF-183 and with slight variation as the Metz 24 AF-1. DSL88 Series — a very basic flash with a manual zoom reflector, with power equivalent to the Pentax AF360FGZ for half the price. Primarily famous as the Metz 36 AF-5 (with some differences from the Tumax-branded model). This model tilts for bounce but does not swivel side to side; the very-similar DSL98 Series, sold as the Vivitar DF-283, adds that (and a bit more power). DPT3 Series — this model (and variations) has been around the longest and is probably the most common. DPT383AFZ, DPT386AFZ, and DPT388AFZ are variations — or Vivitar DF-383 and Cactus AF45. The feature list is pretty good, with bounce and swivel, rear curtain sync, and some level of manual control. In addition to producing our own merchandise, we also offer customized design service and the manufacture of private label products to suit the needs of our clients. OEM and ODM customers are welcome. This is confusing, but I've attempted to sort out the models in a table of OEM models. Cactus is also straightforward with what they are doing; other companies, like Sakar and Bluestar, are effectively brand-management shell companies which bought out classic names like Vivitar and Bell and Howell as marketing gimmicks. Metz was more coy but eventually admitted the connection. However, they strongly emphasize that they develop a custom firmware ("equipped with a special electronic technology which has been developed by Metz in Germany"), and I generally trust Metz as a company. Note: There's at are reports of incompatibility with the Pentax K-30. Following previous patterns, newer models which work with newer cameras will probably eventually silently made it to market — with no announcement or easy way to distinguish between compatible and non-working models. Models made a year or so earlier will be incompatible with the K-5 and K-r, and so on back. Make sure you double check before purchase, and buy from somewhere with a good returns policy, in case you happen to get an older unit. Very old models of the DPT3-series flash don't even have P-TTL support, instead using the older Pentax TTL protocol. I am not aware of a good way to tell which it will be without testing. Continue on to read about features, flash power, or other flash details.